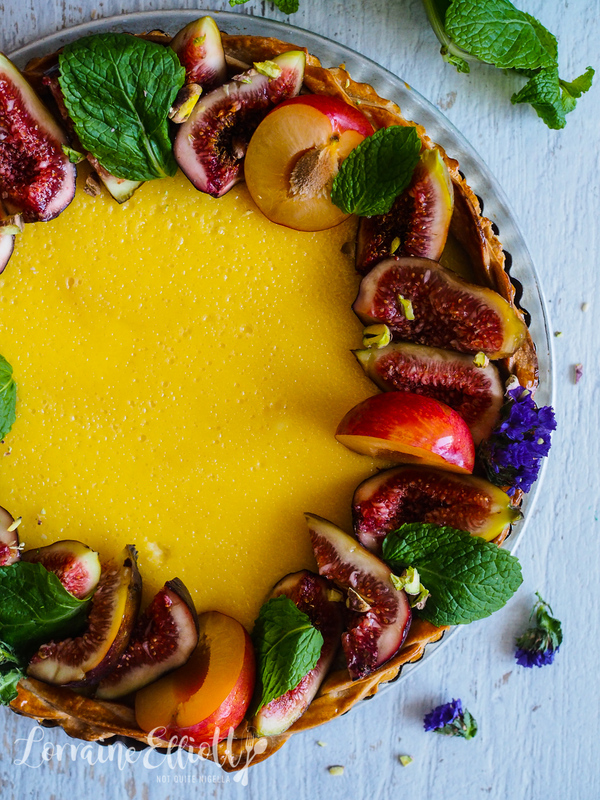 This tart is pure late Summer/Autumn in pastry form. 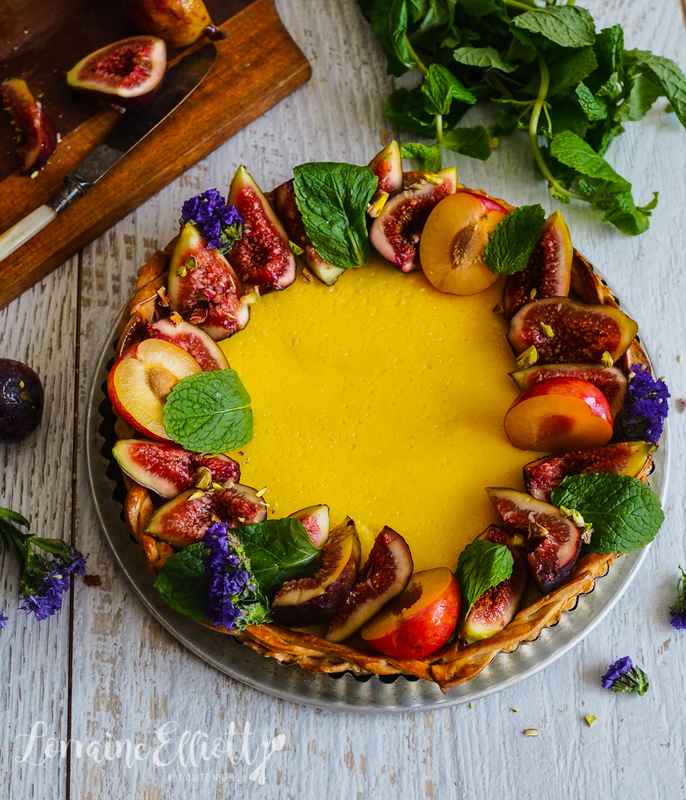 It's a silky smooth sour cream tart made in a spelt coconut crust topped with honeyed figs and stone fruit. I decided to make this tart on a day I was lowish in energy. I realised why I like tarts. They're easy. It's pastry and a filling and it's just one layer. There isn't a vertiginous layer cake threatening to topple over in the heat, fondant that melts or any elaborate decorations needed. This is my pitch to you Dear Reader. A tart like this is also easy because the decoration is all in the fruit. And all you need to do is slice up some figs and stone fruit and you're done. 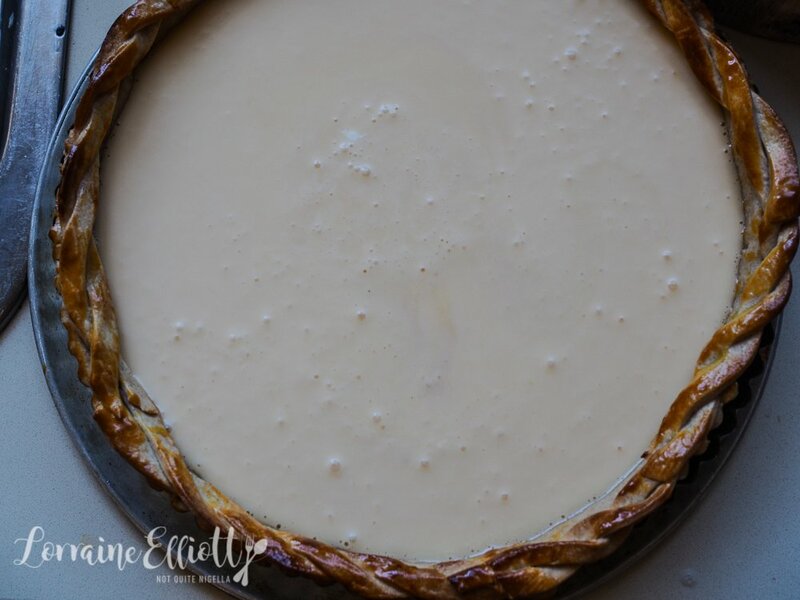 The custard itself is beautifully silky smooth while the spelt coconut crust is delicious. Mr NQN usually leave the crust behind (crazy!) but he ate all of it this time. You also don't need to weight down the spelt pastry when you pre bake it as it doesn't rise at all. Speaking of toppling layer cakes and cake anxiety (it's a thing), I recently came across a cooking show called Nailed It. I normally never watch food shows which may sound odd but I do need a bit of downtime away from food (also they make me reaaalllly hungry and I can't keep eating late at night). For those of you that don't know it, it's basically a show like Cake Wrecks. In Nailed It three contestants compete for a glittery gold hat and a gold trophy that looks a bit broken. I thought that I'd hate it because I don't like the idea of laughing at people who are a bit struggling but I became quite drawn into it. The host Nicole Byer is hilarious and I'm not sure where they get the contestants from (quite concerningly some work in the dessert or food industry) but what they lack in skill they make up in effort and they really do give it a red hot go. There are two challenges in each episode and the second one is a genuine, time pressed challenge where I think even a good baker would find it difficult to pull a cake off. It also has to be said that some of the "models" that they are trying to achieve look a bit like a cake wreck in themselves. Another good thing about the show is that it doesn't make me hungry because the food they produce isn't really very appetising. Take the former metro police officer Sal in episode 3 who doesn't bake with a recipe and wings it and who brightly said, "There's always a piece of Sal in everything that I bake". And you kind of know he meant it whether it be his sweat or another bodily fluid. The contestants (so far) seem to have a great sense of humour which is nice to see and don't take themselves too seriously. I found myself talking at the screen at midnight, giving them instructions like "Your cake is going to fall over!" to "You're filling the pans too much," but I know that if I were to ever go on there, I'd probably be a bit of a mess too. Step 1 - Make the tart crust by placing the flour, coconut oil and sugar together in a food processor and pulsing until it resembles sand. Add water until it starts to come together. Knead into a ball and cover with cling film and rest for 1 hour. 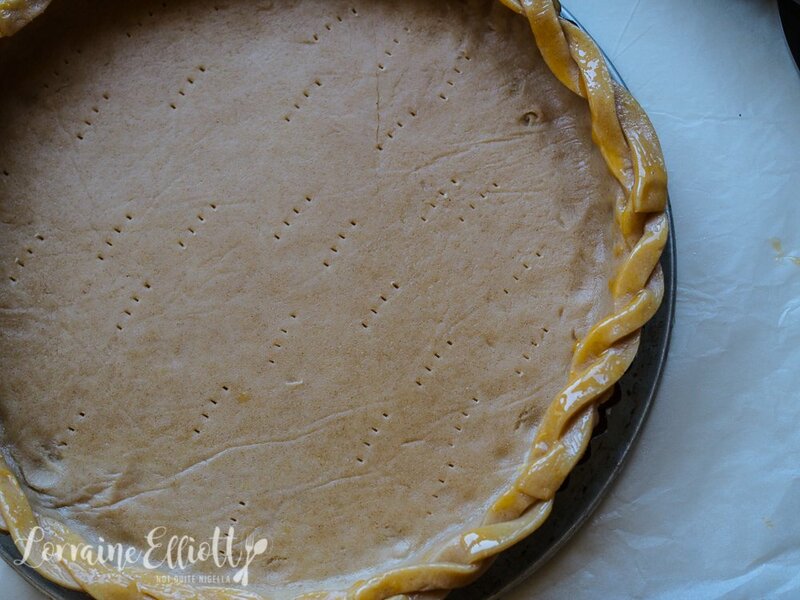 Step 2 - Roll out until it fits a 23cm loose bottomed tart tin and dock the bottom. 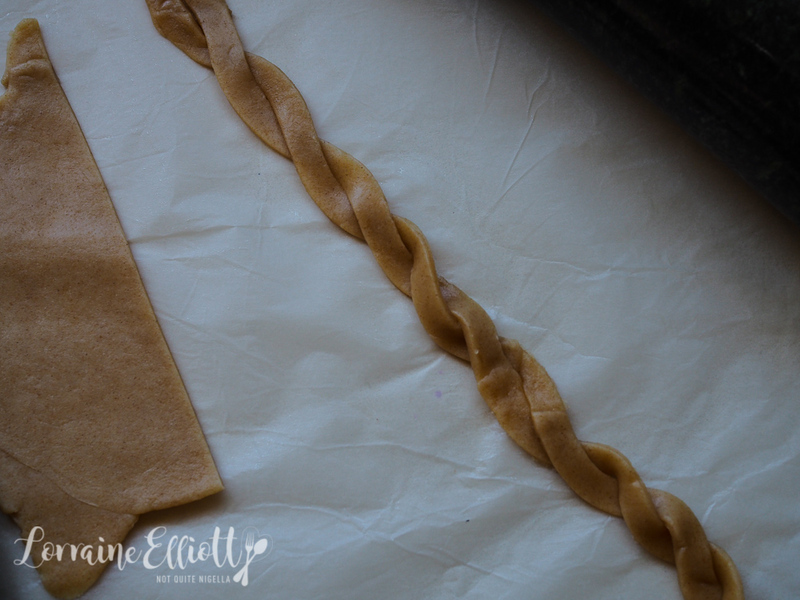 Trim away the edges-I made a decorative pattern and stuck it on using some of the egg yolk from the filling. Refrigerate for 30-60 minutes. Bake in a 200C/400F oven for 20 minutes until the base is cooked (no need to fill with pie weights, it won't rise much at all). Step 3 - Reduce heat to 120C/248F and whisk all the filling ingredients together in a bowl until smooth. 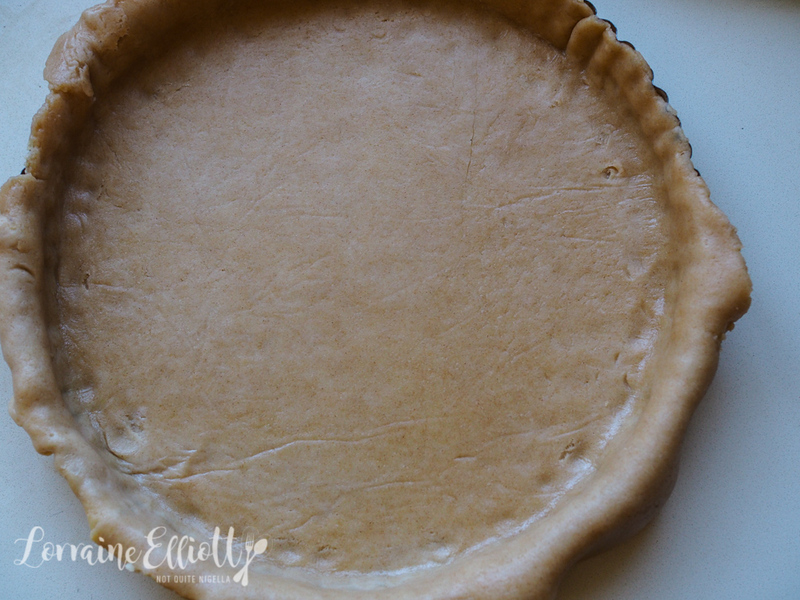 Pour into the par baked pie crust and bake for 30 minutes until set. Cool. 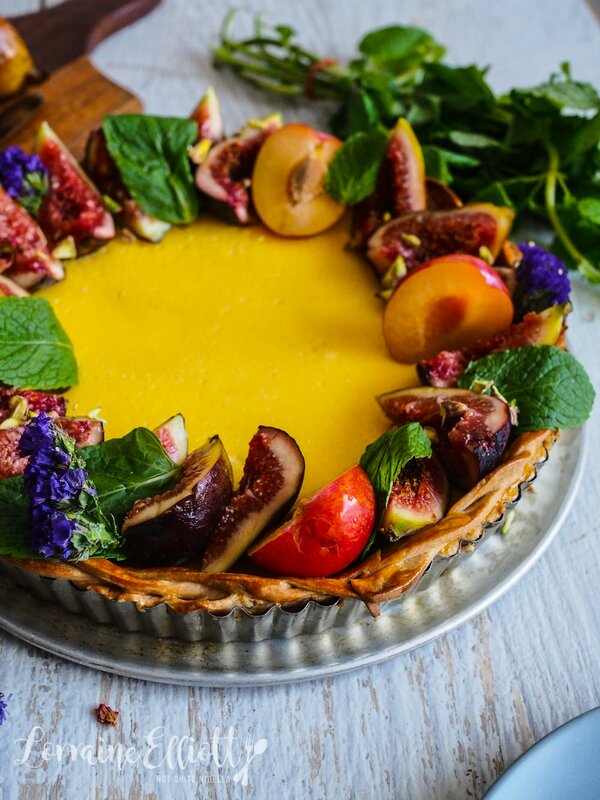 Decorate with fresh figs, plums, mint and edible flowers. recipeMedlar Tarts & The Mysterious Medieval Fruit! 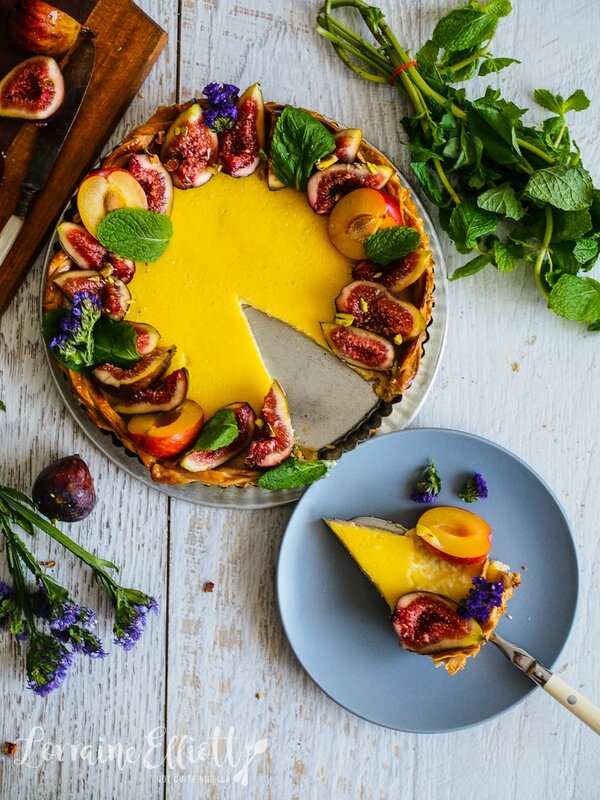 recipeUnbake My Tart: A Cheese & Fig Tart! recipe Medlar Tarts & The Mysterious Medieval Fruit! 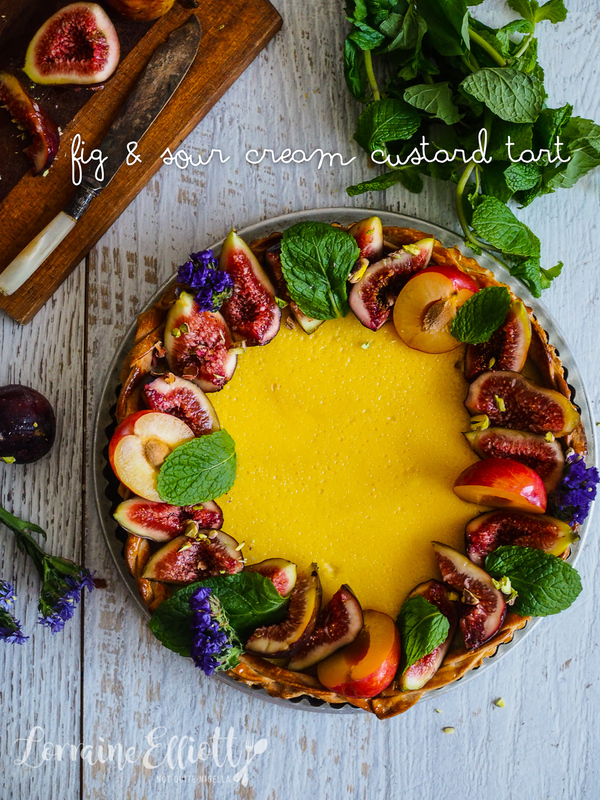 recipe Unbake My Tart: A Cheese & Fig Tart!